Production has been underway on the upcoming young Han Solo A Star Wars Story film for several months now, with the majority of the filming taking place at Pinewood Studio in London, England. 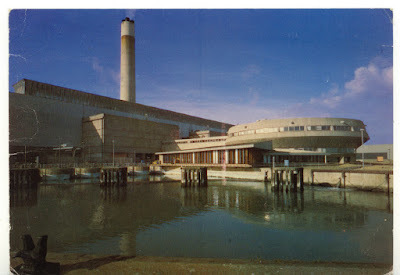 However, it looks like a location shoot for the film is taking place right now at Fawley Power Station in Hampshire, England, according to a new report from The Daily Echo. Fawley Power Station has been seen in Hollywood blockbusters before, with Mission Impossible 5: Rogue Nation having been shot there two years ago. "Scenes for the new blockbuster Star Wars film are currently being shot in Hampshire. Production crews and actors working on the Star Wars spin off, which has the working title Red Cup, have been filming at Fawley Power Station." 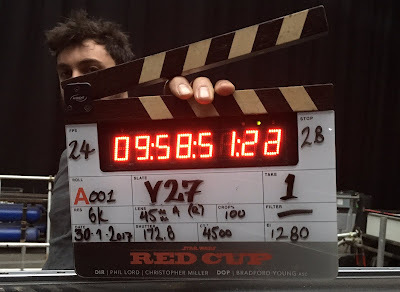 Star Wars: Red Cup is, of course, the production code name for the young Han Solo film. We learned the film's code name earlier this year when one of the film's director Chris Miller posted a picture of the clapper board from the first day of shooting on the upcoming film. 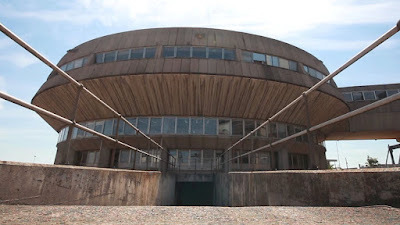 As for the Fowley Power Station, looking at some pictures and videos of the location, you can easily see how it could be used for a location in the galaxy far, far away. Yep. Work at a school about a mile away from Fawley and a pupil randomly mentioned to me that her dad had seen a couple of stormtroopers there.